Will the Presidency Become Trump's Final Chaotic Chapter? 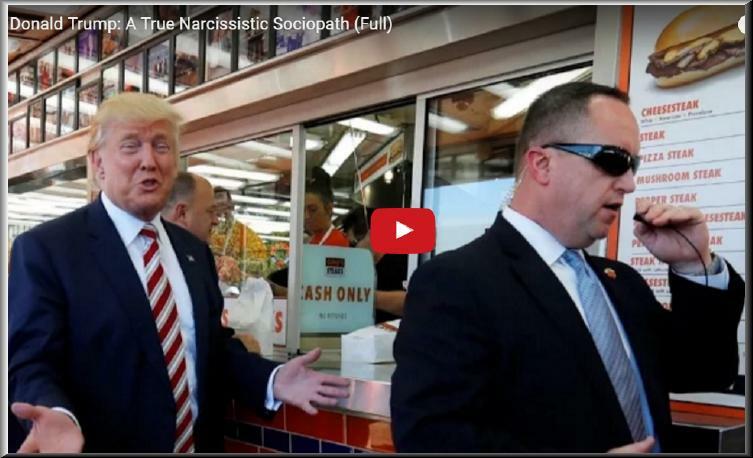 Please watch the unbelievable (stomach-churning) documentary uncovering the real Trump... and now Trump the Narcissistic Sociopath IS PRESIDENT OF THE USA. 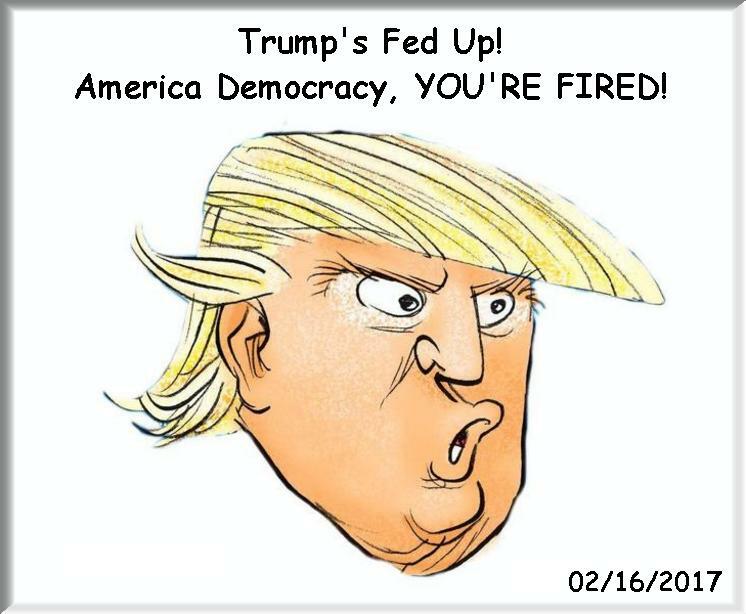 Cant wait to see the Trump finale chapter, which will expose, without a doubt, this foul human being for the spectacle he really is (he can no longer hide after a downfall and get back up on his feet like he did no wrong). Excerpt: Republican Presidential Candidate Donald Trump Has Many Skeletons in the Closet and it ain't pretty. Trumps literally drowning in lies, misinformation and obfuscation, although he doesnt seem to think theres anything wrong with that. His campaign manager is a thug and Trump doesnt seem to think theres anything wrong with that either. After significant drama and dithering surrounding his foreign policy advisory team, Trump has released a list of people who (to put it mildly) do not inspire confidence. In short, Trump has run a highly unconventional and utterly disturbing campaign. Lets not assume that hes about to stop now  no matter how close he might be to locking up the GOP nomination. A recent New York Times piece by Alexander Burns ponders the current status of Donald Trumps campaign. The article emphasizes that, given Trumps profound and diverse mistakes thus far (and especially recently), it might no longer be possible for a divided Republican Party to coalesce behind him before the GOP convention this July. Sen. Al Franken returned to his comedy roots Monday, taking swipes at Donald Trumps business record in a Democratic National Convention address. The Minnesota lawmaker and Saturday Night Live veteran said he knew Trump was a right-wing megalomaniac because he earned a doctorate in megalomania studies from Trump University, the program that has prompted fraud claims against Trump. Franken also joked that the school had a strong bankruptcy program, referencing the Republican presidential nominees use of the practices in the past. Clearly, Donald Trumps enormous, dare I say huge, success as a businessman qualifies him to be president. And if you believe that, Ive got some delicious Trump Steaks Id like to sell you, Franken said to laughs and applause, referencing one of Trumps past products. He took a more serious tone, though, in saying he has never met anyone smarter, tougher, or more ready to lead us forward than presumptive Democratic nominee Hillary Clinton. Dr. Barrett, a founding member of the Scientific Panel for the Investigation of 9/11 and founding member of the Muslim-Jewish-Christian Alliance, made the remarks in an interview with Press TV on Thursday while commenting on Trumps intensified rhetoric against Muslims in the wake of Sundays mass shooting in Orlando, Florida. US President Barack Obama on Tuesday condemned Trump, and rejected his demands that the president use the phrase radical Islam in reference to the Orlando massacre and other mass shootings. Trumps gone out of his mind! Well Trump probably has always been out of his mind, Dr. Barrett said. He stated that the political class in the US wants to pursue a strategy of tensions, but they dont want to become another Nazi Germany. Trump on the other hand is just is a psychopath, and a narcissist, and a power-hungry maniac who essentially wants to essentially grab the presidency using this kind of inflammatory rhetoric to connect with people who feel disenfranchised, who lost their jobs, who lost their futures, who see a country in which increasingly all kinds of madness is taking over, the American academic stated.